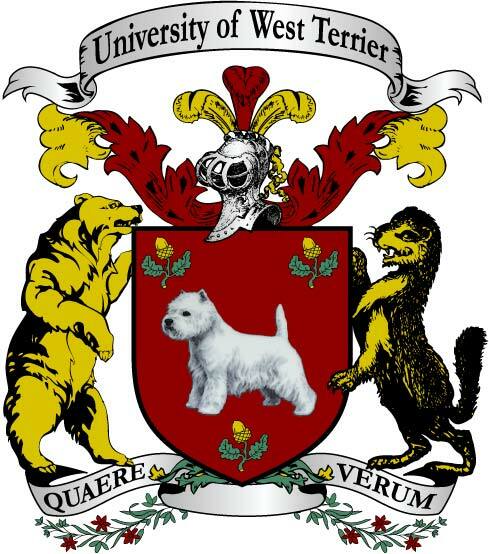 The President and Governors of the University of West Terrier are pleased to announce that the UWT School of Medicine will host a forum in early May to discuss the effects of comedy on the mental health of Animals. Participants in the forum will include faculty members of the UWT School of Medicine, the Millicent Hayberry Centre for the Study of Drama and Performance, and members of the departments of psychology, interspecial studies, and Human studies. Workers from The Park’s two Extinction Anxiety Clinics, the Park Hospital for the Afflicted and Infirm, and community professionals working in the fields of trichology, grooming, and other areas of physical and mental health have also been invited to share their knowledge and expertise. In addition, the forum will hear from representatives of The Park’s citizen aid groups, including Home to Roost, Rodents at Risk, Runaway Rovers, and the Tortoise Immigrant Aid and Mentor Programme. The forum chair will be UWT Official Comedian Woodruff Dalmatio. The forum will take place on the campus of the University of West Terrier on May 8, 9, and 10, 2018.